A number of fine hotels are available in Dhaka. 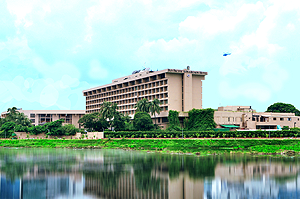 The Pan Pacific Sonargaon, the venue of the conference is a five star hotel will be ready to accommodate the conference participants. Best Western La Vinci Hotel, Dhaka and Hotel Sunderban is within 500 meter to 1 km from the venue. Hotel Westin, Hotel Radisson Water Blu, Hotel Lake Shore are some of the other finest hotels in Dhaka, also ready to accommodate the guests. There are a number of boutique hotels and guest houses at Gulshan, Banani and Baridhara Diplomatic Zone to give you different touches of hospitality. 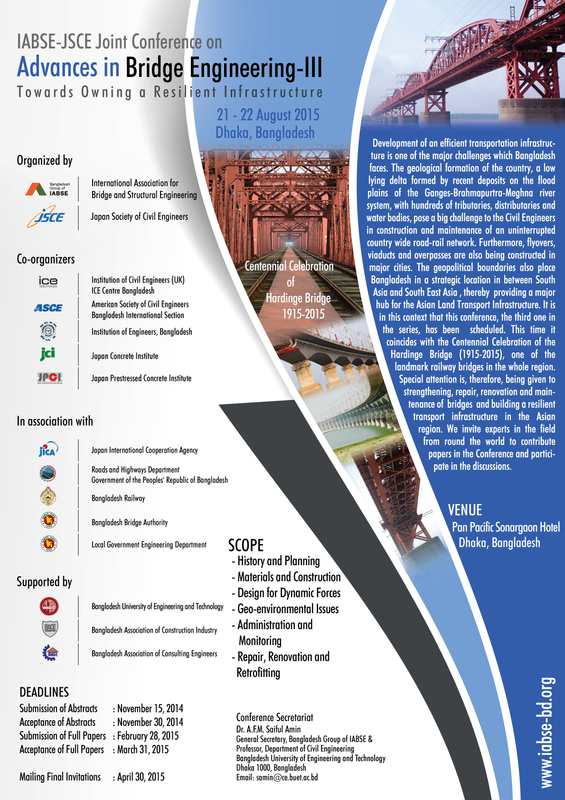 We have already negotiated with the Pan Pacific Sonargaon to have a very special discounted rate of up to 60% for the participants of the conference. When you are booking with the following hotels please mention the title IABSE-JSCE Joint Conference on Advances in Bridge Engineering-III. All these rooms have Free access to brand new Swimming Pool, Health Club, Sauna & Jacuzzi. (Except Massage Service). Unlimited use of Hi-speed Broadband Internet service in-room, Free entrance to Balcony (Disco & Live music), In room tea/ coffee making arrangement, Electronic Safe deposit box in each room, Two bottles of Local Mineral Water in room, Daily Local English Newspaper. Breakfast (6:30 am - 10:00 am) at Pacific Lounge, Fruit basket in room upon arrival, Evening cocktails (6:00 pm - 9:00 pm) in Pacific Lounge, Whole Day coffee/tea/soft drinks at Pacific Lounge, Laundry, dry-cleaning and pressing (four pieces) per day on non-accumulative basis, Extended check-out till 4:00 pm, Shoe shine service, Local telephone calls, Business magazines and daily local English newspapers, 24 hours Butler Service, Exclusive Business Center at Pacific Lounge. We are also in the process of negotiation with a few other hotels for special rates. Please follow the conference website for the latest information. Depending on the Terms and Agreements of booking, third party websites may offer better deals than that mentioned in this website. All participants are encouraged to compare the rates and conditions before making the final decisions on booking. To obtain information about room rates and bookings, the delegates, authors and participants may contact the hotel directly via their respective web sites or travel agencies as well. In addition, many budget guest houses within the vicinity are also available. To avoid last minute disappointments, it is strongly recommended that you book the hotels as soon as possible. The conference secretariat can also assist you in booking accommodation.